GK in Hindi 2016 - 17 and GK for SSC Exams,SSC CGL Exam, IBPS Bank exams, UPSC/IAS exam all latest GeneralKnowledge/Current Affairs required for all Competitiveexams. *** CATEGORIES ***1. Current Affairs (करेंट अफेयर्स)2. GK-Tricks (जी.के.-ट्रिक्स)4. महत्वपूर्ण जी.के.5. महत्वपूर्ण इतिहास6. महत्वपूर्ण भूगोल7. महत्वपूर्ण राजनीतिक8. महत्वपूर्ण विज्ञान9. सामान्य ज्ञान Mock Test10. English Mock Test*** Features ***Offline app no internet required.Install app and Get Success in all exam. Rajasthan Geography GK contains Important Questions and Notes ofRajasthan GK in Hindi. Rajasthan GK plays a vital role incompetitive exams held by Rajasthan Public Service Commission(RPSC) like RAS Exam. Rajasthan Geography GK syllabus is accordingRAS Syllabus. We have collected frequently asked questions invarious examinations of Rajasthan GK. Rajasthan GK trick and linkfor Rajasthan GK pdf download can find in the app. 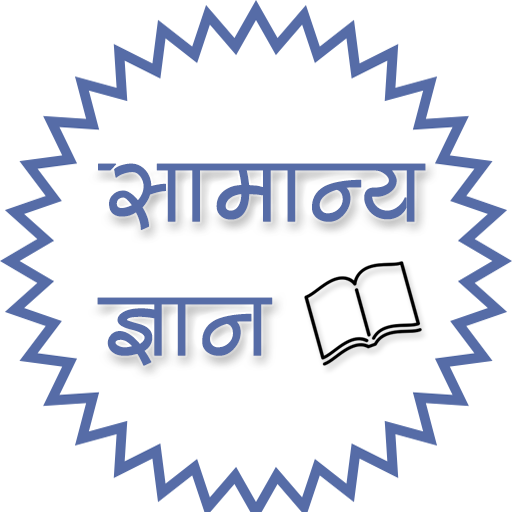 This app is very easy to use and best digital book for railway allexam prepration. This is totally dedicated for railway group d exam2019 tayaari. Best thing that app in hindi so any body use it andcrack railway exam 2019. रेलवे में निकली ntpc 2019 ग्रुप डी एक लाखसे अधिक पदों के लिए नंबर 1 एप्प Topic- Daily new content andrailway exam related important news section.Quiz Modal paperDownload option Physics important question Chemistry importantquestion Biology important question History important questionGeography important question Computer important question Otherimportant Question Selection process detail group d 1 lakh + rrbntpc like notification short no of question section wise in pepergeneral 50 + question test section,Reasoning 50+ question testsection, math 50+ question test section coming soon...... before 31mar app update Daily gk and other important qusetion update you caneasily open in offline mode but some button require internetconnection. One liner question answer remember fastly. All contentin hindi so easily Read anyone. I wish that all my user of thisrailway group d exam hindi app crack exam and get job. Best ofluck. Thankyou. This app includes 10,000+GK Question and it also includes thousandsof MCQ questions. All Exams GK In Hindi is for all competitiveexams like Civil Services, SSC, Bank PO, Railway etc. In this app10000+ Important objective type questions are being provided. Eachtopic contains the simple and easy steps of learning somethingwhich you feel difficult to remember. Right now we have questionsof all mixed gk quiz and one liners like, India gk in hindi -General Knowledge (सामान्य ज्ञान) - Banking Awareness (बैंकिंगजागरूकता) - Books Author (किताबें लेखक) - Sports (खेल) - ComputerKnowledge (कंप्यूटर ज्ञान) - Mix Questions (मिक्स प्रश्न) - History(इतिहास) - Culture (संस्कृति) - History of India (भारत का इतिहास) -Geography (भूगोल) - Economics (अर्थशास्त्र) - reasoning - IndianRailway GK Quiz In hindi - Bank Gk Quiz In Hindi - General ScienceGK Quiz In Hindi Physics GK Quiz Chemistry GK Quiz Biology GK QuizIn Hindi - First In India GK Quiz In Hindi - Hindi Grammar GK Quiz- Psychology GK Quiz In Hindi - Discovery and Invention GK In Hindi- SSC GK In Hindi GK Quiz gk in hindi app is useful for IAS, UPSC,SSC, IPS, BANK PO, BANK CLERK, BANK EXAMS, IFS, PCS, CIVILSERVICES, BANK SPECIALIST OFFICER, RRB or REGIONAL RURAL BANKS,STATE CIVIL SERVICES, POLICE EXAMS, SSC CGL, CISF, CAPF, NDA EXAMS,CDS EXAM, RAILWAY EXAMS, GOVERNMENT JOB EXAMS, IBPS BANK EXAMS,IBPS CWE EXAMS, INSURANCE EXAMS, POST OFFICE EXAMS, NICL–Assistants, AICL – AO, UICL – AO, APPSC, BPSC, Chhattisgarh PSC,GPSC, HPSC, HPSSSB, HPPSC, JKPSC, Jharkhand PSC, Kerala PSC, MPPSC,MPSC, Delhi Subordinate Services Selection Board, OPSC, RPSC, PPSC,TNPSC, UPPSC, WBSETCL.